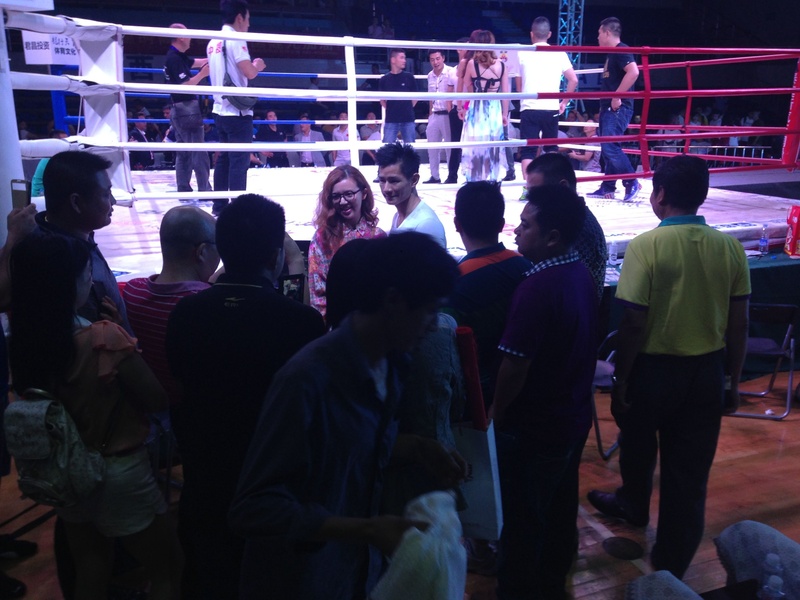 I met Yang Jianping on the sidelines of Kunlun Fights’ sixth event, a mixed-bag even held in Chongqing, China’s 30 million-person-deep answer to Gotham City. Yang Jianping is the most well-known MMA fighter in Mainland China, and he works for Kunlun Fights, a new fight promotion that is somewhat of a spin off of the country’s most successful promotion, Henan-based Wulinfeng. But unlike Wulinfeng, Kunlun has its sights set on MMA in China, and not just circus bouts with questionable match-ups. The boss of Kunlun, a man named Jiang Hua, was in Macao recently with Yang Jianping and a small team of Kunlun officials, and according to them, the UFC has agreed to cooperate with Kunlun on a variety of ventures in China, starting with training. Kunlun believes they are the ones that will usher in the UFC and help rule over MMA in the Middle Kingdom. The bosses, Jiang Hua and Tony Chen, are from Wushu aristocracy. Both graduated from sports universities, both have older family members in the fight community, and they have been in the fight business for years. Tony Chen spent years in California, and Jiang Hua is a successful businessman, with supposedly very deep pockets. They also have Yang Jianping, the most visible MMA fighter in China, and a powerful bargaining chip in the race for MMA’s Yao Ming. For the Chinese, it is unthinkable that any foreign company—especially a fight promotion—can hope to succeed in China without domestic partners. Shanghai-based RUFF has their permit from the Wushu Association; OneFC recently partnered up with AMC, a Singaporean company with an office in Chengdu, deep in the Chinese hinterland. Tony Chen, the day-today-manager of Kunlun’s activities, believes that both of those partnerships are weak, and easily swept aside. He is probably correct. 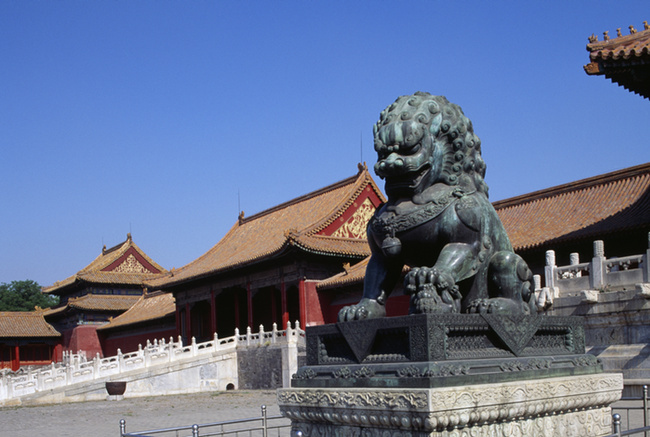 The Wushu Association permit that RUFF has can be circumvented, and China’s regional power structure prevents any one government office from holding sway over the rest of the country, even if they are located in Beijing. It’s not fair, especially to the RUFF guys who have put together the only authentic MMA shows on the Mainland to date, but that’s how it is. AMC doesn’t know the difference between fencing and MMA, and have zero experience with either. They are what is called a “cultural event” company, accustomed to concerts and festivals, not fights. OneFC has the pockets and the ability to stage large-scale events, but can AMC hold up their end? For Yang Jianping and the Kunlun promotion, it doesn’t matter. They have the cash, the experience, the connections, and they have China’s MMA golden boy, slightly tarnished thought he may be by recent events. Yang Jianping is a fighter who has truly made it. In a sport ridden with retired vets trying to eke out a living running a gym, or even worse fighting their way down the promotion ladder, Jianping is an exception. He has been on the cover of every major sports-related magazine in China. He’s an underwear model and a stuntman. He hangs with movie stars and sits ringside with make-up on, because that’s what stars do. But make no mistake, he’s also a great fighter. Jianping is aggressive, supremely confident, and has a decent BJJ game to complement is athleticism and KO power. He’s legit in the ring, but if you read the news on the China interwebs, you’d be forgiven for thinking otherwise. His first taste of hate came in 2011, when he fought the purported “Japanese National MMA Champion” Sakano Nozomi. Jianping performed a flying cartwheel guard pass in the fight, which went viral in China. Millions of people viewed the fight, and many derided it as just another fake match-up, common in China. Yes, Nozomi never was the Japanese MMA champ, and he may have never fought before or after again. The fight was definitely a mismatch for Jianping. But that guard pass was not staged—notice the soccer kick to the head right afterwards, which was probably not part of any alleged set-up. Any set-up was the brainchild of the promotors, but Jianping was nevertheless hated on for colluding with the enemy to put on a fake show. This is a typical problem for him, because he is coddled by his handlers; he does get his fights chosen for him, very carefully, in order to maintain his status as an MMA star in China. That doesn’t change the fact that he is an athletic, aggressive fighter. This problem reared its head most recently in the TUF Finale, when Jianping was set to fight Ning Guangyou. Jianping pulled out of the fight at the last second due to injury, and Guangyou was left standing around in Macao, wondering what was happening, and whether or not his chance to make it big had passed. Once again, the interwebs in the China MMA community went wild. Jianping’s followers turned on him, Guangyou became an instant celebrity in the China fight scene, and fight fans in Asia clamored for a rematch between the golden boy and the truck driver. That fight is happening on August 23, in Macao, barring any sudden changes. It’s a big fight for both men, but Jianping shrugs it off. Individually, that may be true. But for Kunlun’s dreams of being the UFC’s partner in China—whatever that might mean—a victory for their golden boy really boosts their stock.